Install Valley View Industries Royal Diamond 60 Feet L x 1 in W Plastic Lawn Edging to give your lawn a defined border. The edging features heavy-gauge construction for durability and UV inhibitors to help protect against UV rays. Purchase steel or poly anchor stakes separately at Home Depot as they are highly recommended for keeping edging from lifting out of the soil. Royal Diamond is the heaviest quality lawn edging available in the retail marketplace. The bulk roll can be easily cut in to custom lengths to fit designs around your home. Easy to follow installation instructions on back of packaging and on website. 8 Feet Rubber Roll Cedar Red Earth Edge Rubber Rolls and Edging are both made from recycled tires and provide a long lasting and durable finished look for landscape designs. 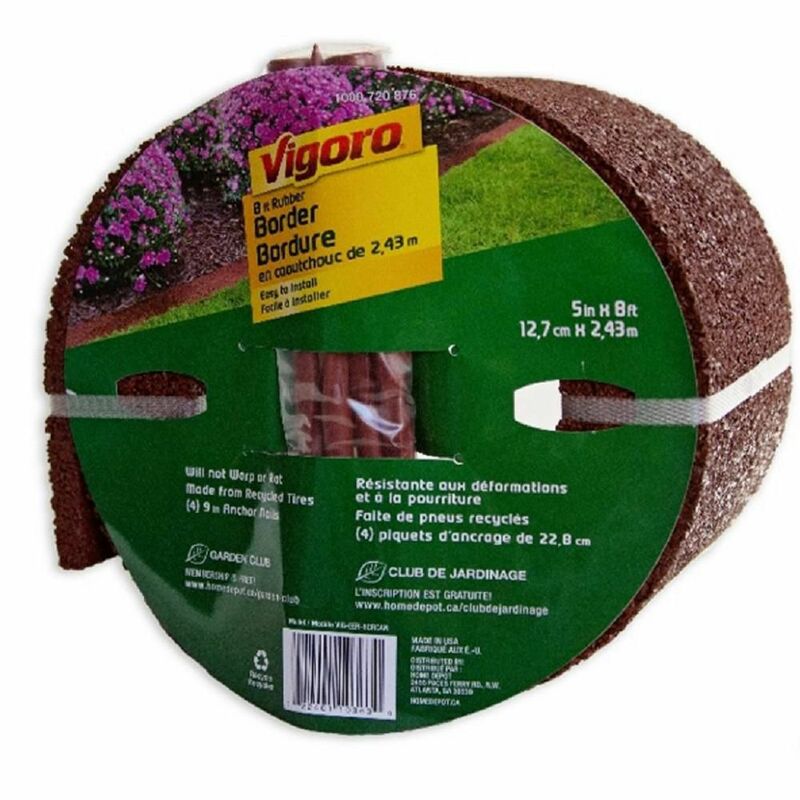 Use Earth Edge Rubber Rolls under fences, around planting beds, or along sidewalks. Use Earth Edge Edging next to driveways, sidewalks, planting beds, or around trees. Both are available in three stylish colours - Black, Cedar Red and Dark Brown.